Positioned at the center of it all just off SW State Street at SW Vintage Parkway, The District is home to retail boutiques, dining and entertainment venues. 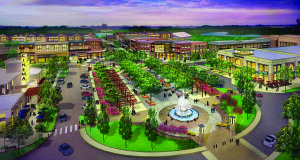 It is designed to enhance the already vibrant central Iowa community of Ankeny. 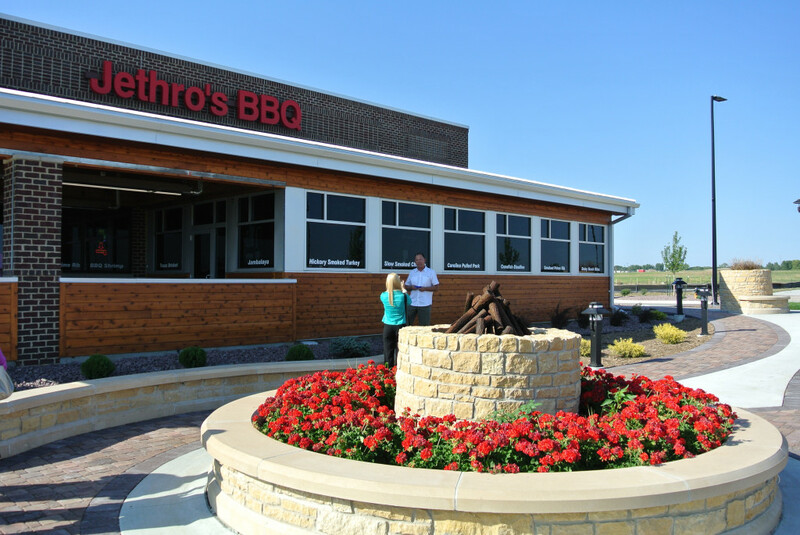 Jethro’s BBQ Lakehouse was the first restaurant to open at The District in Summer 2012 and quickly became a popular destination for delicious food and fun! In the Summer of 2013, we celebrated the opening of The District’s new fire pit. It is strategically located lakeside between Jethro’s and a pad adjacent to the east, which has been prepared for the next new restaurant. Just announced…. Urban Grill owners, Dave & Jean Thompson, have chosen The District at Prairie Trail for their second location. It will be adjacent to the firepit, overlooking Lake Promenade. Along Main Street at The District, construction began in April 2013 on another new building complex called Vintage Main. This 67,000 square foot building is beautifully designed with vignette store fronts at street level and a two-story glass atrium wall showcasing expansive views overlooking Lake Promenade to the southwest. Fitness World at Prairie Trail announced their brand new location will be opening at Vintage Main in December 2014. This will be a full-service fitness center, complete with indoor track and pool, owned by Denise Johnson, who also co-owns Fitness World locations in Ankeny and West Des Moines. Prairie Trail was designed and built on the tradition of Iowa’s great neighborhoods. It’s a tapestry of diverse and distinctive homes, neighborhood stores, nearby offices, schools and parks. It’s a walkable development with less traffic, more sidewalks and trails that connect the entire development. One of the delights of small towns in Iowa is that their business districts often surround town squares. The square brings shopping and dining establishments together, and provides a gathering place for people to interact and socialize. The District is a key component of the blend of relaxation, activity, and convenience that makes the Prairie Trail community unique. If you would like more information about locating at The District, please contact Ashley Johnson, Director of Marketing at DRAProperties ashleyj@albaughllc.com or 515.965.5249. Download our detailed flyer about available space in The District here.